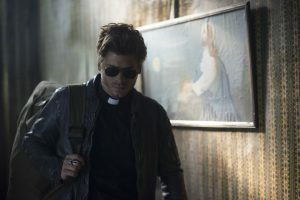 Throw a disgraced priest undercover to investigate an anarchistic cult? Sign me up. The Man Who Was Thursday captures an incredible fall from grace that kept me on the edge of my seat the whole time and wholly invested for every single twist, turn, and 360 reversal there. I might not have known where I was going while watching it, but I was never lost. A mind-bending film with all manner of metaphysical nods and spiritual clashes and contradictions, The Man Who Was Thursday messes with your head in the best way possible.